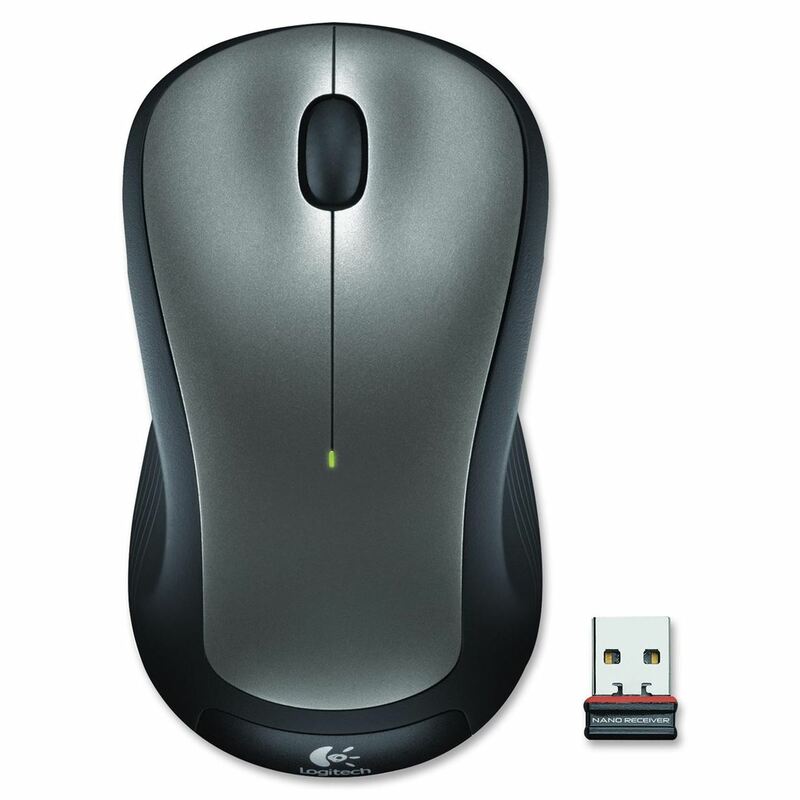 Quick overview Wireless mouse features an ambidextrous contoured design, plug-and-forget nano receiver and 12-month battery life. Advanced 2.4 GHz wireless connectivity delivers fast data transmission and virtually no delays or dropouts. Smooth, responsive tracking allows easy cursor control, easy text selection, and effortless scrolling. Full-size, contoured design also features soft rubber grips and on/off switch to conserve power. Wireless mouse includes a nano receiver and one AA battery.